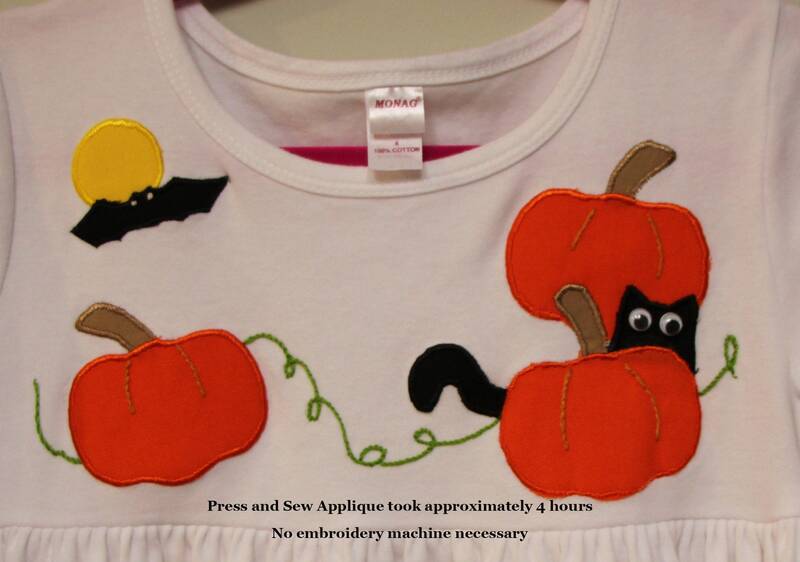 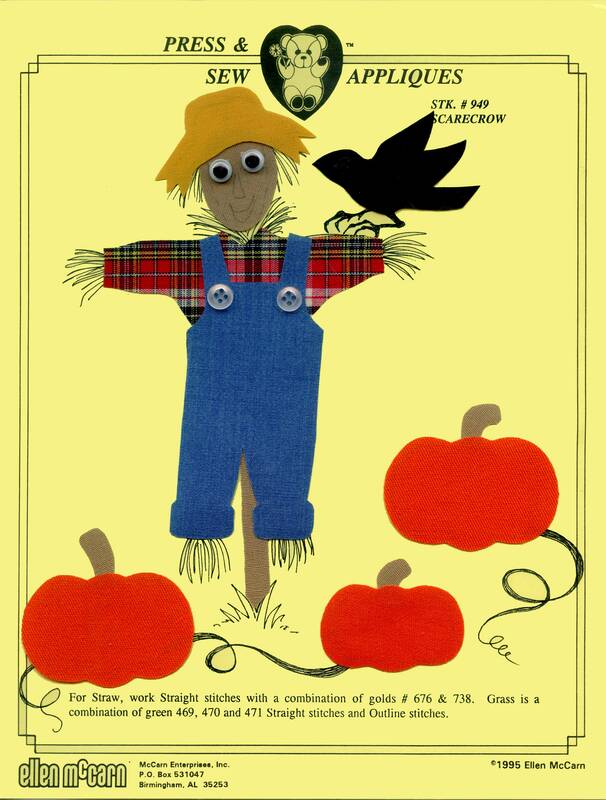 Get Ready for Fall with this cute and easy press and sew appliqué. 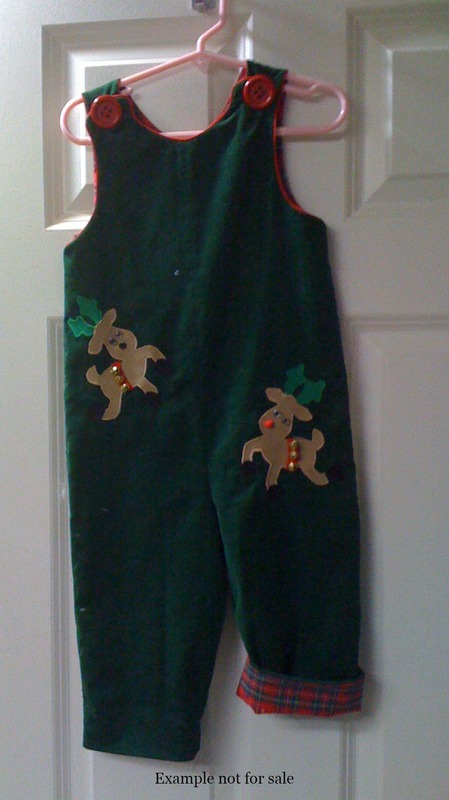 These ready-to-be-used appliqués can make purchased items, like T-shirts, onesies, place mats, stockings, burp cloths, towels, uniquely yours. 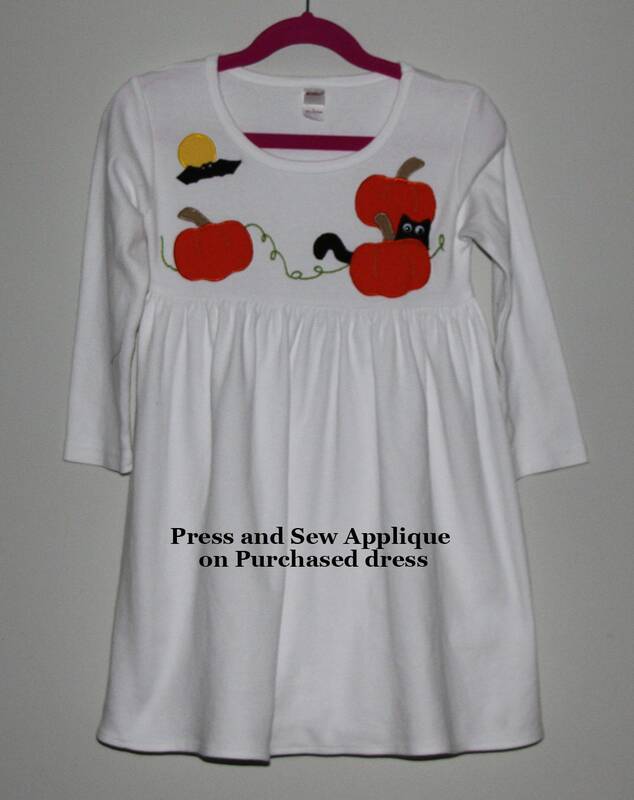 They're also perfect for embellishing that outfit your making for someone special.